It is assumed that the most relevant question in contexts of suffering is the “Why?” question: “Why has God allowed this to happen?” Gallons of ink have been spilled on “theodicies” that seek to defend belief in a good God in the face of human suffering. It is not clear that any answer has proved either convincing or helpful. In this talk, Torrance will argue that it is the “Where?” question (Where is God?) that is most pertinent to the struggles of those suffering loneliness, pain and bereavement. To this question, the Gospel provides a profound response that is more pastorally relevant and, indeed, intellectually satisfying than speculative answers to the “Why?” question. 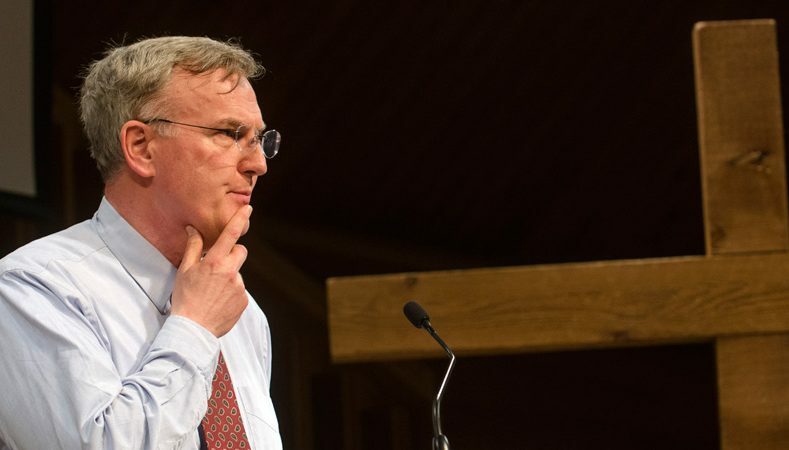 Alan Torrance (Dr Theol, University of Erlangen-Nurnberg) is Chair of Systematic Theology at University of St. Andrews, where he has served since 1999. He teaches and publishes in Christian doctrine and theology with particular respect to issues of personhood, political reconciliation, and philosophical theology.